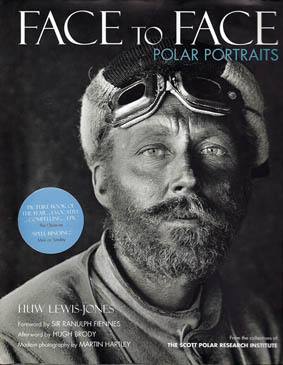 Face to Face: Polar Portraits was re-released in a second edition hardback by Conway Anova in November 2009. It has also been published in Germany by Frederking & Thaler, and in Italy by De Agostini. The Sunday Times chose it as their 'Book of the Week' and The Observer called it 'Picture Book of the Year'. It has variously been described as 'impressive', 'stunning', 'remarkable' and 'spell-binding' by other national magazines and newspapers. Copies of the book are available from this site. Please visit our online shop or visit our books page. With our partners, Stanfords bookshop in central London, Polarworld was proud to produce their Christmas lecture at the Royal Geographical Society. 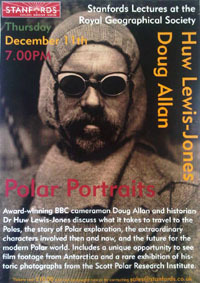 Dr Huw Lewis-Jones gave a lecture on polar photography and then hosted a discussion with expedition photographer Martin Hartley and celebrated polar cinematographer, Doug Allan. In addition to rare images from our new projects, Doug shared new underwater footage from his forthcoming BBC series. Stanfords stock all of our titles. More information about this unique evening can be found here. At 19:00 hrs GMT 29 May 1969 Sir Wally Herbert, Dr Roy ‘Fritz’ Koerner, Allan Gill and Dr Ken Hedges and some forty dogs finally reached land after a 16-month, 3,620 mile journey over the top of the world, successfully completing an expedition that would be hailed as the ‘last great journey on Earth’ – the first crossing of the Arctic Ocean along its longest axis, and the first undisputed expedition to reach the North Pole on foot. 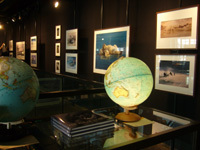 To celebrate the fortieth anniversary of the successful culmination of this historic expedition, Polarworld organised several high-profile events. A memorial evening in honour of Sir Wally Herbert, pioneering polar explorer, and his travelling companion and leading glaciologist, Dr Roy 'Fritz' Koerner, was held at the Royal Geographical Society in London on 7th April 2009 to coincide with the 40th anniversary of the British Trans-Arctic Expedition. To our great sadness Allan Gill, an extraordinary polar traveller and good friend passed away in the early hours of 14 January 2010. He was among the most accomplished polar men of his age, yet was perhaps the most modest. He will be dearly missed. 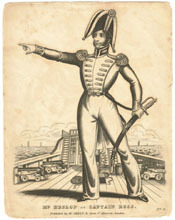 Polarworld produced the world premier of the rediscovered toy theatre play ‘Captain Ross’, a favourite of the London theatres in the 1830s. Based upon an original script and combined with popular songs of the period, the play was recreated in miniature upon a toy theatre, with a number of actors bringing the play to life. The play was co-directed by Dr Huw Lewis-Jones and the redoubtable impresario, Horatio Blood.